May 6, 2013 (San Diego’s East County) – Valley Fever has sickened 28 workers at two large-scale solar facilities under construction in San Luis Obispo County, the Los Angeles Times reported on April 30. The disease is contracted by breathing in fungal spores released when desert soils are disturbed. The finding is the latest in a series of disturbing reports on epidemic Valley Fever conditions in California and across the Southwest. With numerous large-scale solar projects and wind projects proposed for East County that would scrape bare thousands of acres of high desert terrain, public health concerns over the prospect of exposing residents to Valley Fever are growing. Since wind-blown spores can carry 75 miles or more, residents across San Diego County could be at risk of the potentially deadly disease. September 1, 2012 (San Diego)—Seeking to prevent massive and irreversible environmental damage, numerous environmental groups have filed formal protests against the Programmatic Environmental Impact Statement (PEIS) for Solar Energy Development in Six Southwestern States. “We want the public to know that several conservation groups are not planning to go down easily on the Interior Department’s plan to destroy up to 20 million acres of southwest deserts, not even including the wind projects,” Terry Weiner of the Desert Protective Council i(DPC) in San Diego told ECM. DPC is a co-founder of Solar Done Right, one of the environmental groups that filed a protest. June 27, 2012 (San Diego’s East County) – With over 100 large-scale solar applications pending in the Mojave Desert and more planned in San Diego and Imperial counties, an article published in the Los Angeles Times raises some disturbing questions. March 15, 2012 (Holtville)--Early Wednesday, rooftop solar activists and desert conservationists from Imperial Valley and San Diego County convened outside the Barbara Worth Resort—site of the Imperial Valley Economic Development Corporation's three-day Renewable Energy Summit and Expo. Protesters oppose tax credits going to giant energy companies and called for similar incentives to help property owners put solar on their roofs. They also objected to their viewpoint being excluded by conference coordinators. Participants voiced concerns over negative impacts of industrial-scale wind and solar projects. In some cases, wind turbines have been abandoned, left as rusting blights on the landscape. Other concerns include destruction of habitat for wildlife, noise, health impacts, loss of agricultural lands, and destruction of recreational areas on public lands. 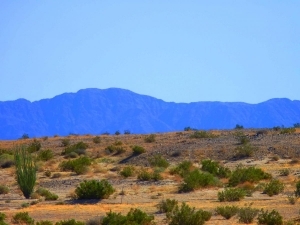 March 12, 2012 (Holtville) – “Why are billions of our tax dollars going to fund large-scale energy development on our public lands instead of to home and business owners for developing rooftop solar?” asks Terry Weiner with the Desert Protective Council and Solar Done Right. Massive solar and wind developments are planned for San Diego and Imperial County, many on public lands, others on prime agricultural croplands. On Wednesday, March 14 from 7:30 to 11 a.m., activists from throughout California plan to stage a demonstration outside the Barbara Worth Resort in Holtville (Imperial County), where the “Renewable Energy Summit and Expo” is being held. July 31, 2011 (Sacramento) -- The Federal and State Renewable Energy Action Team (REAT) launched a joint environmental review for the Desert Renewable Energy Conservation Plan (DRECP or Plan) that seeks to streamline permitting of renewable energy facilities for seven counties in the California desert, including San Diego and Imperial Counties. Public meetings are set for August 16 and 24, with written comments encouraged for those who cannot attend. December 28, 2010 (Blythe, CA)-- La Cuna de Aztlan Sacred Sites Protection Circle, a Native American cultural protection group, filed a lawsuit yesterday in the U.S. District Court, Southern District of California, challenging the Bureau of Land Management permitting processes regarding six large solar facilities planned for the Mohave, Sonoran and Colorado deserts of Southern California (Case No.10CV2664 WQH WVG), including an Imperial Valley Solar project slated to hook up to SDG&E’s Sunrise Powerlink. December 16, 2010 (San Diego’s East County) – Local and statewide activists battling massive energy projects on public lands are praising a decision issued by U.S. District Court Judge Larry Burns yesterday, while the CEO of Tessera Solar says he is "deeply disappointed" in the ruling. The federal Judge issued a temporary restraining order halting construction on the first massive desert solar project authorized on public lands—a project that if built, would be one of the largest solar power plants in the world. December 12, 2010 (San Diego)--Here we go again, justifying doing something bad to do something supposedly good.